Unfortunately, this has been reformulated. There is hardly a hint of what it originally smelled like. Any reformulations should be called different names. A little of this goes a long way--and a long time! It's a great daytime fragrance. One of my favorites. This is just so sharp and sour. I love wearing difficult scents, but this was just a little too much for me. The spiciness is great, but there's just something off about it. I can't really put my finger on it, but it's really just sharp and crude and blunt. I don't normally write reviews but this is one that deserved one. It is sooo nice that this brand has kept this original fragrance...Original !!! Most brands today last only for a few hours maybe the whole day. My husband loves the smell. This one is super strong!! It smells ok, but must be used sparingly or you will regret it. This perfume punches you right in the face. I wish more perfumes had this ones strength. I didn't much care for the notes but I can appreciate the spicy in your faceness. I have a sample bottle of this that was given to me in a clinique gift pack in the 90's. And let's just say it's enough to last me a life time. I accidentally sprayed two pumps of this before jumping in a hot car for a long road trip. Worst decision ever. The whole car of people hated me haha. It's more of a spray it in the air then walk through it kind of perfume, and then do something outdoorsy, and then you're still likely to smell it 2 days after. Lasting powers good though. My first whiff of Aromatics Elixer landed with some punch--this is a strong fragrance in the bottle and also strong on the skin. I applied it three hours ago and I'm still catching little whiffs as I move my hands. First impression was that it reminded me of a scented powder my grandma used to apply after her bath. A little old fashioned. Over time the strength did mellow out some and I caught some of the other notes...vetiver and oakmoss, plus something darker and a little sweet. I didn't get any of the orange blossom at all. This is a complicated fragrance and the scent continues to change--even now I'm getting new notes (though still no orange blossom). I wish I liked this perfume more because it really does have staying power and a little goes a LONG way. But whether it's my body chemistry or simply personal preference, this smells old fashioned in a way I don't like. Also, this could easily be overpowering so I'd apply sparingly until you know how it will react with your chemistry. This is a classic chypre. Not sour, but with a slightly bitter note, in the way of most classic chypres (see Paloma Picasso or Mitsouko), due very possibly to the oakmoss. No true chypre is sweet, of course, nor is this one. There is an elusive rose in the opening, a dark rose, surrounded very soon by a wealth of spices. This is a complex and rich fragrance, not suitable for lovers of fruity florals.Generations of women have delighted in it.The reason is simple: Aromatics Elixir is a masterpiece. Margarita, Salt on the Rocks! This perfume is makes me think of a salted margarita--maybe the chamomile? One of the first perfumes I wasn't fond of upon first meeting with which I later fell in love! Very strong and the first blast is a biter...much like Knowing...and also with that ethereal drydown! A little goes a long way, lasts all day and night an then some. One blast, please, for you are to "love thy neighbor" not bludgeon them with scent. Elixir is deep, rich, complex, salty, a little sour at different points, woody and really beautiful. It is comforting, much like Shalimar but without the ginger sweetness. One of my favorites! There's not many fragrances that stand alone in their uniqueness, but this is one. A little goes a long way, but it's spicy deliciousness. The lotion is lovely too, which is what attracted me to this scent initially many years ago. A classic. This is amazing but it lingers !!! I wanted to try a sample of this, not only to see if I could wear it but to see if it was the perfume I smelled on a manager in retail many years ago. 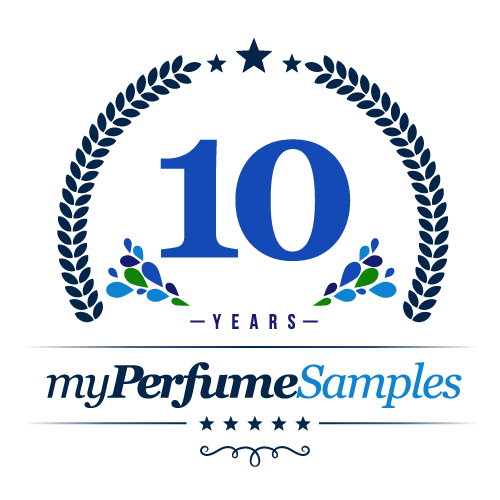 I also wanted to see how it compared to as far as the smell goes with "Aramis 900" for men by Aramis. A visiting assistant manager from another store was doing some work at the one I worked at wore this perfume that got my attention. I liked it on her, and asked her what it was and she just said "Clinique". Well she should have said the exact name cause Clinique is a design house that has many fragrances. I thought this frag. could be it, but it's not. So what she was wearing was called "Wrappings". I think I heard it's discontinued now.? :( Anyway I think I might be able to wear this. So this could be also a unisexual frag. It's herbal with maybe some wood and flower notes. It's not sweet at all. I applied it the same time along with my "Aramis 900" and there's similarities between both of them.! I think Aramis 900 is more green and woods than Aromatics Elixir. I believe I like Aramis 900 better than this one. This frag. may not be liked by most women due to it being not sweet, but I wouldn't say it's just for older women either. This frag. is very strong and concentrated, cause it's a EDP. So, a very light 1 to 2 spritzes would be enough. Strong, great longevity. Not at all sweet or floral. One to apply sparingly and grow into.